Ferdinand VI (Spanish: Fernando VI; 23 September 1713 – 10 August 1759), called the Learned, was King of Spain from 9 July 1746 until his death. He was the fourth son of the previous monarch Philip V and his first wife Maria Luisa of Savoy. Ferdinand, the third member of the Spanish Bourbon dynasty, was born in Madrid on 23 September 1713. 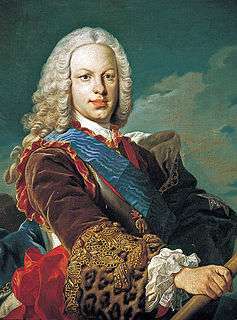 Born at the Royal Alcázar of Madrid, his youth was a time of sadness for Ferdinand. His father's second wife, Elisabeth of Parma, was a domineering woman, who had no affection except for her own children, and who looked upon her stepson as an obstacle to their fortunes. The hypochondria of his father left Elisabeth mistress of the palace. Ferdinand was by temperament melancholic, shy and distrustful of his own abilities. When complimented on his shooting, he replied, "It would be hard if there were not something I could do." Ferdinand was married in 1729 to Infanta Barbara of Portugal, daughter of John V of Portugal and Mary Anne of Austria. 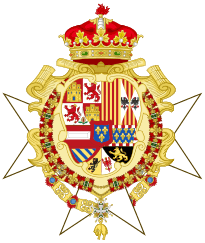 When he came to the throne, Spain found itself in the War of the Austrian Succession which ended without any benefit to Spain. He started his reign by eliminating the influence of the widow Queen Elisabeth of Parma and her group of Italian courtiers. As king he followed a steady policy of neutrality in the conflict between France and Britain, and refused to be tempted by the offers of either into declaring war on the other. Prominent figures during his reign were the Marquis of Ensenada, a Francophile; and José de Carvajal y Lancaster, a supporter of the alliance with Great Britain. The fight between both ended in 1754 with the death of Carvajal and the fall of Ensenada, after which Ricardo Wall became the most powerful advisor to the monarch. The most important tasks during the reign of Ferdinand VI were carried out by the Marquis of Ensenada, the Secretary of the Treasury, Navy and Indies. He suggested that the state help modernize the country. 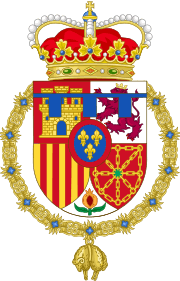 To him, this was necessary to maintain a position of exterior strength so that France and Great Britain would consider Spain as an ally without supposing Spain's renunciation of its claim to Gibraltar. New model of the Treasury suggested by Ensenada in 1749. He proposed substitution of the traditional taxes with a special tax, the cadastre, that weighed the economic capacity of each contributor based on their property holdings. He also proposed a reduction of subsidies by the state to the Cortes and the army. The opposition by the nobility caused the abandonment of the project. The creation of the Giro Real in 1752, a bank favoring the transfer of public and private funds outside of Spain keeping all of the foreign exchanges in the hands of the Royal Treasury, enriching the State. It is considered the predecessor to the Bank of San Carlos, introduced during the reign of Charles III. The stimulation of commerce in the Americas, which tried to end the monopoly in the Indies and eliminate the injustices of colonial commerce. Thus he leaned toward registered ships rather than fleets of ships. The new system consisted of the substitution of the fleets and galleons so that a Spanish ship, previously authorized, could conduct trade freely in the Americas. This increased the revenues and decreased the fraud. Even so, this system provoked many protests among merchants in the private sector. The modernization of the Navy. According to Ensenada, a powerful navy was fundamental to power of an overseas empire and aspirations of being respected by France and Great Britain. He increased the navy's budget and expanded the capacity of the shipyards of Cádiz, Ferrol, Cartagena and Havana which marked a commitment to extending the naval policies already underway in his predecessor's reign. Church relations which were really tense from start of the reign of Philip V because of the recognition of Charles VI as the King of Spain by the Pope. A regalist policy was maintained that pursued as much political as fiscal objectives and whose decisive achievement was the Concord of 1753. From this the right of Universal Patronage was obtained from Pope Benedict XIV, giving important economic benefits to Crown and a great control over the clergy. Cultural advancement. 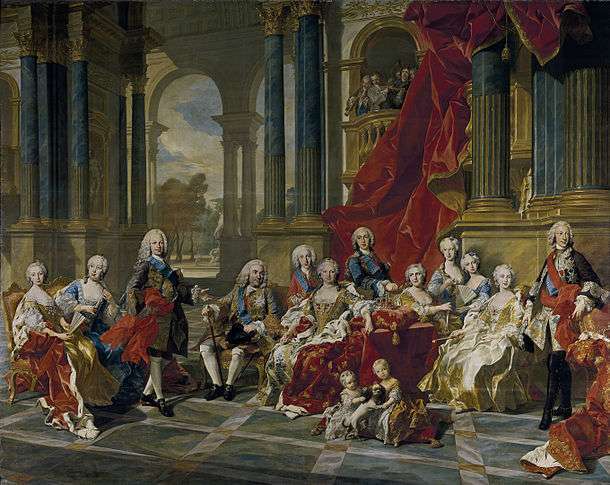 He helped create the Royal Academy of the Fine Arts of San Fernando in 1752. The noted composer Domenico Scarlatti, music teacher to Barbara, wrote many of his 555 harpsichord sonatas at Ferdinand's court. During the War of the Austrian Succession and the Seven Years' War, Spain reinforced its military might. The main conflict was its confrontation with Portugal over the colony of Sacramento, from which British contraband was transferred down the Río de la Plata. In 1750 José de Carvajal helped Spain and Portugal strike a deal. Portugal agreed to renounce the colony and its claim to free navigation down the Río de la Plata. In return, Spain ceded to Portugal two regions on the Brazilian border, one in the Amazon and the other to the south, in which were seven of the thirty Jesuit Guaraní towns. The Spanish had to expel the missionaries, generating a conflict with the Guaraní people that lasted eleven years. The conflict over the towns provoked a crisis in the Spanish Court. Ensenada, favorable to the Jesuits, and Father Rávago, confessor of the King and members of the Society of Jesus, were fired, accused of hindering the agreements with Portugal. The death of his wife Barbara, who had been devoted to him, and who carefully abstained from political intrigue, broke his heart. Between the date of her death in August 1758 and his own on 10 August 1759, he fell into a state of prostration in which he would not even dress, but wandered unshaven, unwashed and in a nightgown about his park. The memoirs of the count of Fernán Núñez give a shocking picture of his deathbed. A fictionalized version of Ferdinand VI appears in the 2011 adventure film Pirates of the Caribbean: On Stranger Tides. In the film, after learning about the discovery of the Fountain of Youth, Ferdinand (portrayed by Sebastian Armesto) sends his most trusted agent, known only as the Spaniard, to find and destroy the Fountain, because he saw it as the abomination in the eyes of God. ↑ Rodríguez de Maribona, Manuel Las armas del Príncipe de Asturias - ABC. (Spanish) Accessed 2009-05-28. 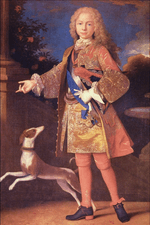 ↑ "Fernando VI, Rey de España (1713-1759)". Ex-Libris Database (in Spanish). Royal Library of Spain. Retrieved 18 March 2013. 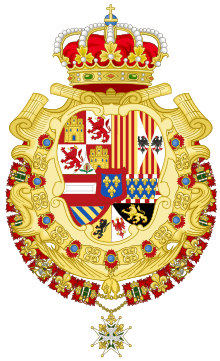 Wikimedia Commons has media related to Ferdinand VI of Spain.